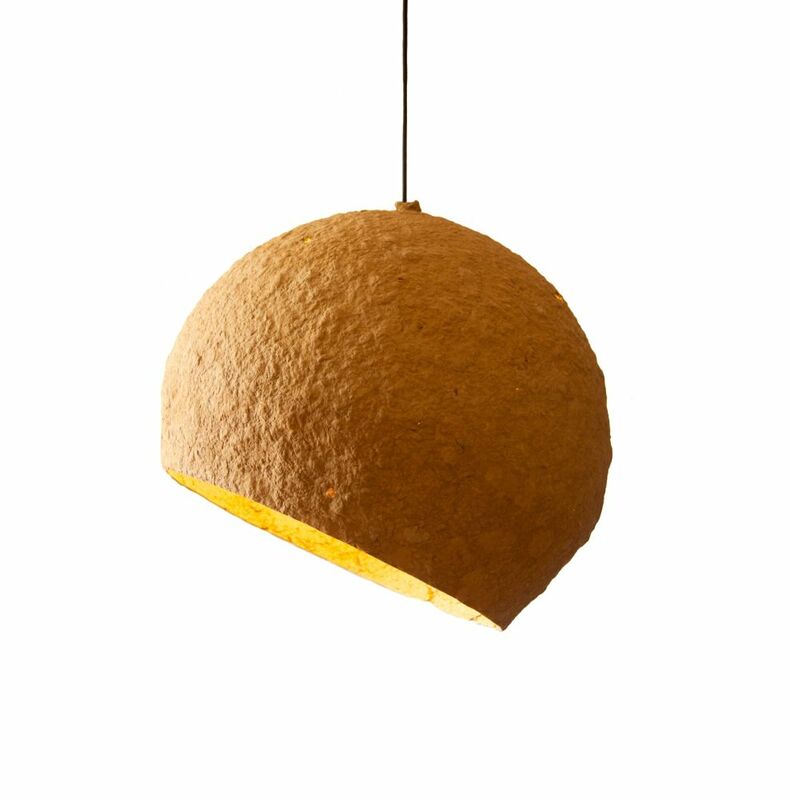 Paper pulp lamp refers with its shape and colo?r to one of the planets of the solar system – Jupiter. Lamp dominates with its size over the rest of the paper pulp lamps, as well as Jupiter - the largest planet in the solar system. Thanks to an ocher color the lamp gives a pleasant and warm light. The interior of the lamp, when the lamp is on - seems to radiate the light - the walls of the lamp seem to be golden. Jupiter takes part of a collection of lamps connected by the common name "Copernicus". Lamp is in 100% recycled - created from paper pulp. Available with textile cable. Hand made in Spain.